Born in 1948 in Beppu city. Audio mixing engineer for dramas in NHK from 1971 through 2005, and contributed in number of productions winning such awards as Grand Prix of Japan Art Festival, Individual Prize of Hoso Bunka Foundation, Galaxy Award of Japan Council for Better Radio and Television, IBC Nombre d’Or, and Premio La Speranza of Vatican. Started developing skills of surround sound designs since 1985 and established Surround Terakoya seminar room to further pursue it along with his own music production Sawaguchi Ongaku Kobo in 2005. 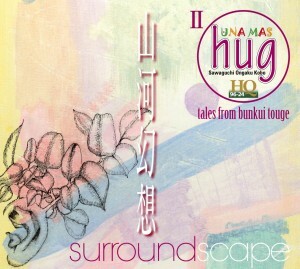 Sound Scape is an artistic repertory that he developed by collecting the nature sound in surround worldwide under specific themes and combined it with music. 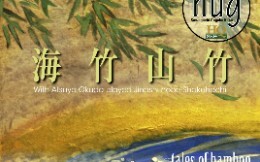 Past activities include the concert of dance and music “Sokuten Kyoshi” at Instituto Italiano di Cultura, the contemporary music concert “Actual Entity” at Tokyo Opera City, and various stage surroundsound designs such as Sound Scape with Shakuhachi, traditional artists group “Yurabi no Kai” and other stage seminars. Received AES fellowship, IBS Fellow Award, ABU Best Paper,JAS Sound Meister, and AES Japan Award. Invited lectures regarding surround include the workshops in such countries as Korea, China,Singapore and India being regarded as”Surround Shogun” himself in the global audio community. Teaches at Tokyo University of the Arts, Tokyo Technology Communication,and Nagoya University of Arts as temporary instructor. Born on March 3, 1989 and grew up in the suburbs of Kawasaki in the naturerich environment playing with insects. Showed interest in arts and theatrical plays, and started studying music professionally in Tokyo University of the Arts. Keen about the potential of performance premises beyond concert halls and live houses, and the activity expanded widely to the stage directorship and the music workshop planning as well as composition and performance. One of the major goals in his composition is the harmony with the environment of the nature and with the traditional culture. Voice artist resonating with the sound all over the world. Many collaborations with various musicians, visual image composers, dancers, theatrical plays and others. Also active as movie director, creator of formative arts, and poet. Hosts a program in Community FM broadcast since 2010.